(…) We always have the impression of knowing how to do everything ourselves … We do not think that God is the only reason we exist and live … Then the weight and the value of everything that God has done for you constantly becomes clear in your life day after day in an amazing way … We must therefore be blind to not understand that one of the greatest gifts God has given us is the presence of Mary. It will be said: Our Lady was already there, how come now appears? But if the Madonna was already there, why did not you know her then? 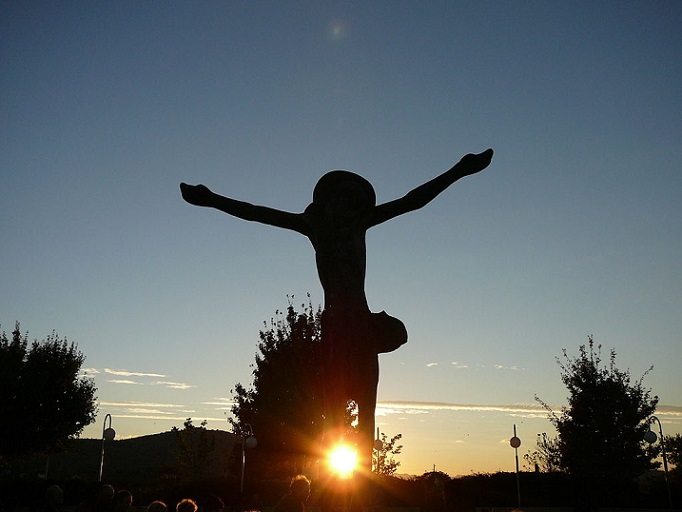 This great gift that is Medjugorje exists because God wanted it: God sent His Mother. And nothing, nothing is due to us, let alone this gift. Our Lady came as an unpredictable and pleasing gift from God that does not stop at our discussions. At this level, inner conversion must slowly take place. The man of today believes himself to be the master of everything and everyone. He’s a man to whom everything is due, to which we must do a lot of reverence, and instead we are not owed anything, not even the existence … Our life is continuously a miracle, it is the manifestation of someone who wants us to live and that keeps us on our feet. Nothing is due to us! Imagine if the Madonna has had to be inconvenienced from heaven. It is a pure grace! Yet the story of these years is a continuous, incredible superabundance of grace that rains from heaven and is called Madonna. The world has never educated us about gratuitousness. Never! Instead, in front of the Eucharist, recovery is total, we get to the heart of the problem: I am his, I am forced before God to be true and sincere. And sincerity puts it to say: thank you, Lord! The gratitude of man is born from the gratuitousness of God. Out of this terrain we can not understand the Madonna’s programs. There are endless discussions, as in these 10 years it has been done: why does it appear because every day? … Memory, gratuity, sincerity together realize the possibility of a new listening, a true understanding of the Madonna’s program … Which does not mean understanding everything, but that we are open to enter on another level …. – The history of these years tells us three very simple things: 1. Our Lady appears and continues to appear, despite the discussions of theologians, etc. 2. It is not static, but reveals something, makes known its desires. 3. She reaches us, involves us. It comes directly to people’s hearts, by surprise. Then the apparitions are thanks, they are an event. While Our Lady appears she does not shut up, but speaks, she communicates to souls … She has the right to do so because she is the Mother of God and of the Church, Mother of Christians, and of angels … So if it manifests itself it is because it has the right to manifest itself to the souls, to reach out to his children, to shake them for the truth, to tell them that they are children of God. She does not deceive us.Faced with this we are careful not to fall into two tremendously negative and widespread mistakes in our day: 1. To focus on questioning Mary and demanding answers that are not due to us. You are not an ordinary person … You must approach the Mystery, reminding us that it is a mystery. Moses took off his shoes. 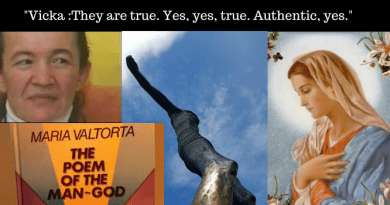 It would be enough to see how the Poles approach the Black Madonna to understand a little more the seriousness with which we must approach the Madonna and the Lord. (So it is useless to say to the children that Jesus is a friend, when we can not say that he is the Son of God) … So do not pretend that you answer us. So first condition to understand the programs of Mary is to be quiet and listen to what you have to say.Hence one hears silence, including theologians … 2. To understand His programs we must not compare Our Lady to any other man even very good in the Church, not even to the Saints, because she is Queen of Saints. What you say is unique.To think that what is done in the parish or in that movement at the bottom is better than what you think or do is an objective, theological and pastoral error … What the Madonna does can not be comparable to what any other pastor can do. 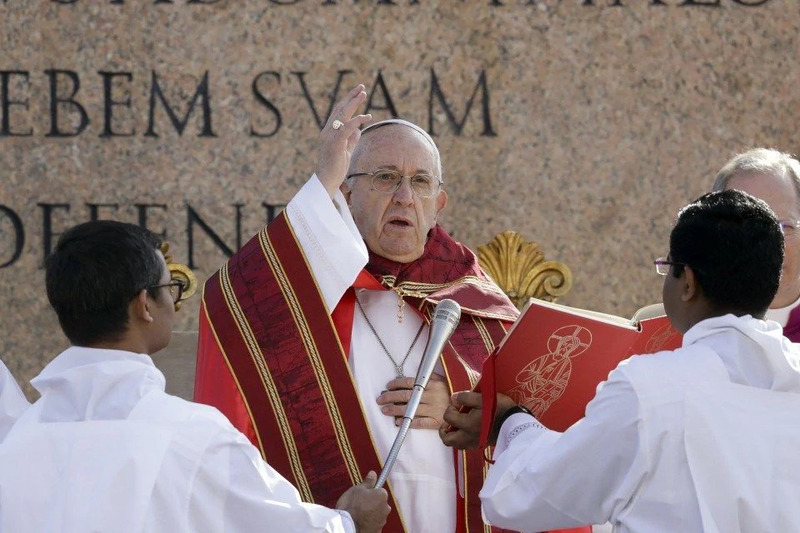 Apart from that you first respect everyone: Pope, bishops, priests, even if he humbly says: it is better that you do so! 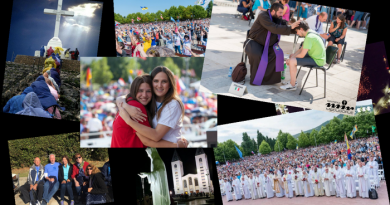 The Bishop of Spaiato, two years after the apparitions, said that at that time Our Lady in Bosnia-Herzegovina had done more than in 40 years all the bishops put together … She came to live the Gospel in today’s Church because there we convert and we do not get damaged. Having removed these two errors, we can humbly say that Our Lady manifests herself because she loves Her Son and loves men. And the only content from which the whole Gospel is pervaded is conversion: “Repent and believe in the Gospel” (Mk 1: 15).But conversion has its needs; It is necessary before God comes to meet you, because that is His gift. In the second place, the laws dictate Him to Him. If He comes to meet you, you will walk towards Him in the measure in which you respect Him who has come to meet you and accept what He proposes to you. Our Lady came to recall the Gospel in a practical way, to dictate from the beginning, since we no longer remembered the necessary and indispensable needs for conversion. Why appears for 10 years? It is not our right to know it, but suffice it to consider that such a long time means an incredible patience in starting to educate ourselves to what we had totally forgotten, which was no longer present in the Church and is called the alphabet and the pedagogy of Gospel. Our Lady started all over again, she made us not the first grade but kindergarten … She did not come from heaven for some people a little more willing, but to say that humanity must be converted. 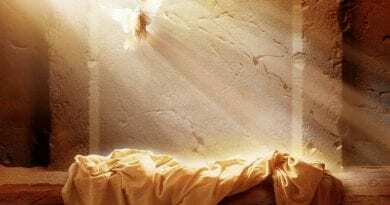 And since it is more than a century that continues to say the same things, it means that the danger is ever more imminent: the danger of our damnation: in the Gospel it is called damnation. And Jesus often speaks of the devil, so it is useless to be scandalized by the fact that Our Lady comes to say that Satan exists: Jesus has always said it. And it is good that we begin to give it back from the pulpit of the Churches, to the unsuspecting souls. The fact that satan is there and you never talk about it has been very well seen what it has produced in twenty years. Then Our Lady as Queen of the Earth and of Heaven wants us to understand that His coming among us is a great hope, it is a great lifeline for everyone, for the Church, for non believers, for believers in something, for the desperate, the sick, the missing and all those you want. We are therefore invited to broaden our gaze and to understand that something really big is happening in our life, beyond the fragile element that we are. Does it seem cheap? It is too easy to take from the Gospel only what we like and it is convenient for us. Instead, Our Lady came to repeat it in its entirety. She has come to rehearse that it is better to walk in the Gospel a little at a time for what it is, and to live it humbly slowly to the end rather than to forget it or accommodate it, and to give us great works: the outcome of this adaptation is already seen for many years: a mountain of trouble. All excited to chase the world: and with what results! Our Lady has taken the initiative of coming to suggest us, as spiritual and universal teacher, that it is better to return to the Sacraments … She, as Mother of the Church, returns to center the reason why the Church exists. When the bad things in us are so many, how can we win alone? You have already fallen once, ten … How can you overcome a force that has already subdued you a thousand times? What claim do you have? If that temptation or your self-love is much stronger than your ability to resist, you tell me who you have to go to win? We have to fight with the prince of darkness, with the satanassi that are around, as we said in the prayer to St. Michael, (which was removed perhaps because today is out of fashion talk about the devil). No, the satans are really there and you have to fight them with the right years.Then go to confession! Saint Charles went there every day … The Lord is in the sacrament and it is necessary that all pedagogy, even childish, lead back to this evangelical education in the full sense. We bring the children back to church and help them understand what is bad and what is good. The two great rails of spiritual life are: Eucharist and Confession. Once a track is removed, the train goes off the road: once one of these two tracks is removed, the spiritual life is non-existent. This is the tragic point in the church: in the end you substitute yourself to God, even in the works of charity; which, for this reason, are most often a failure, because one has the claim to do what only God can do. Then the two Sacraments report in the pedagogy and in Christian education the category so abhorred and forgotten of the sacrifice. 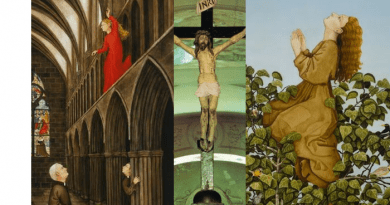 Prayer and fasting are the road to conversion … But to convert we must do something: run to the sacraments. This is clear: where God exists we go. If I love Jesus, if I love a person I go to her. You can not say to love a person without ever being with her. It is prayer that puts the finger on the wound, which most often is left to rot under the bandages of many other things we do … We do works on works without considering the truth and enter it. then you must get away, pray … And if you struggle to pray, it means that it is there that you must purify … And this is the purification: stay in front of God until God determines the conditions: it costs, but such is the need for true conversion … We change before God because it is God who changes us, we do not change ourselves. Fasting, says Our Lady, is above all fasting from sin. It is absurd to make any other fast and to have one’s heart inundated with some deadly sins. But starting anyway to take away something, so it hurts your stomach a little because you’re hungry, it means refocusing all the talk about the fact that your instinctivity is better than sacrificing in front of what is essential for your life and that it’s called God. Jesus says to the devil: man does not live by bread alone. But we Christians say: Eh no! We must eat. Let’s start by saying: not only does bread live man, as the Gospel affirms, because our destruction takes place in this way: first let us put our thoughts and try to adapt the Gospel in this way. Instead, Our Lady wants us to have the Gospel in our life, to which we can convert all our way of life, especially our instinct. St. Francis made four Lentings a year .., Today, if one is on the diet to lose weight is a man to be estimated, but if he is on bread and water because God indicates this path of purification, is a fanatic Here is the pedagogy of Our Lady: call back to the truth and say well to what is good and bad to what is bad. 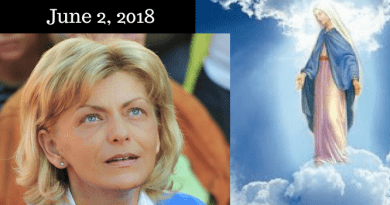 It should be borne in mind that all this Our Lady desires it for the whole of humanity, especially for the Church, because the work of purification is much heavier within a mentality that has been consumed behind false idols … This program one sees very well here in Medjugorje is right for every man. Our Lady is a refuge for sinners and here conversions occur that the Church has never seen in many years. What’s the reason? It is precisely this call to the radicalism of the Gospel. When Jesus presented himself to sinners, sinners were converted. If today they are no longer converted, there is something wrong with pastoral programs. Then Our Lady came to explain that, because things work, it is necessary that the sinners – of whom we are the first ones – are re-admitted into the truth, that today we do not have the courage to propose them: and the truth is Jesus, who love and really think about your life … You have to put the Lord in the first place because sinners are converted: it is He who converts them, it is not us: it is here where there is no pastoral care. Sinners are converted only because Someone welcomes them to the end and forgives them, but demands that they no longer sin: “Go and sin no more”. But who puts this possibility of sin no more? The man? It is only God who patiently, in the sacraments, takes you back and gives you the opportunity one p0 ‘at a time to become another. The sinners feel this: they understand where they must go to be loved and to change their minds, because Someone finally understands their sin and tells them the steps they must take. Then “Refuge of the sinners” means that Our Lady is Mother of all and therefore the mission before each of us is to constantly and insistently recall, first of all in us, the mercy that God used to send us Our Lady, to embrace then all the others in the same gift. And you get one by one to all the hearts that open up. Hearts melt if they are sincere. 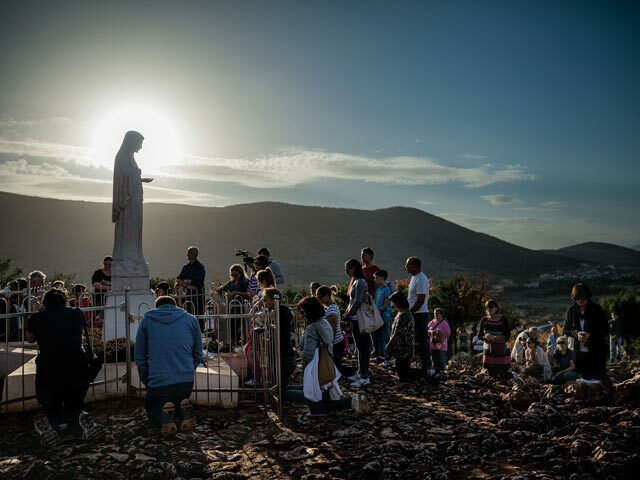 We have seen so many times here in Medjugorje .. Why the thirty people, climb on the Podbrdo in the last pilgrimage, at last they cried?How to get there? It is the Heart of the Madonna that touches hearts one by one in those inner particularities that nobody knows, but you do. And so you can get there and get there. 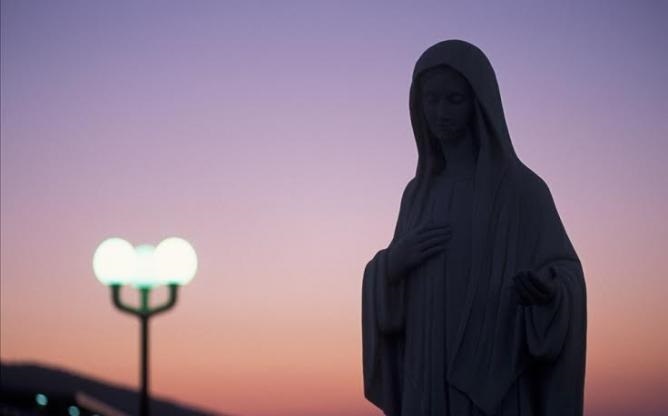 This is Medjugorje ..